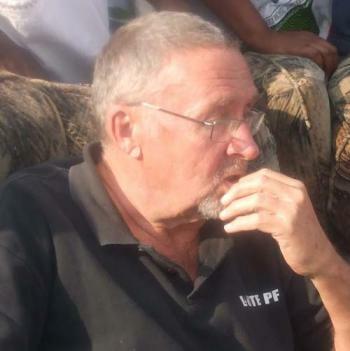 Prominent lawyer and former republican vice president George Kunda has questioned the legality of Guy Scott as republican vice president if he cannot act as President in the absence of President Michael Sata . Kunda, former LAZ president, said President Michael Sata should explain to the Zambian people whether Dr. Scott qualifies to be vice president of the republic. Kunda, a former Attorney-General has also revealed that the MMD legal committee will soon meet to study the matter and pursue the matter further in courts of law to establish whether Dr Scott qualifies to hold the office of republican vice president. He says it is surprising that President Sata left the instruments of power with finance minister Alexander Chikwanda when he went to South Africa last Friday when the vice president was in the country at the time. Kunda, who is also former minister of Justice said it might be that the president has realized that Dr. Scott does not qualify to be vice president and subsequently act as president in his absence. Kunda also said Zambia has become a police state under the PF regime. He said even former leaders like him want to particpate in the affairs of the country. He said The fight against corruption is just a smokescreen to deviate peoples attention. He said the only jobs PF has created are in street vending.